Note: LinkedIn no longer allows API access for job board sites so we have discontinued sale of this plugin. 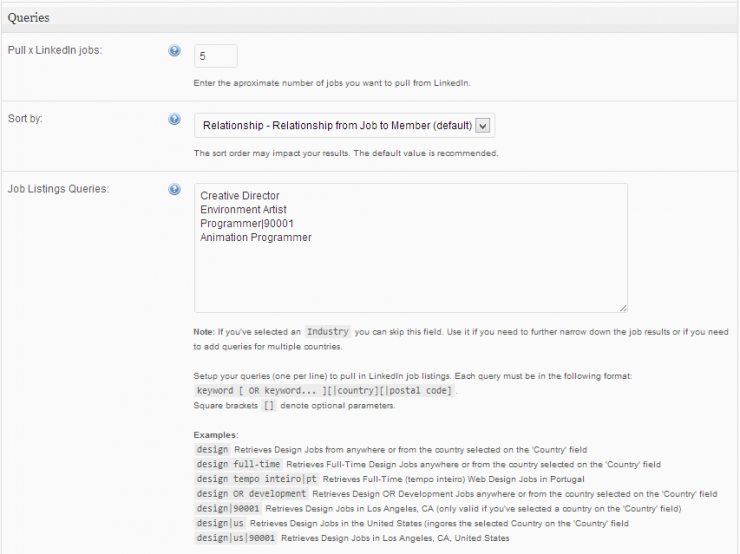 The LinkedIn Publisher plugin uses LinkedIn’s Job Search API that is now a part of their Vetted API Access Program. You must apply here to get LinkedIn’s approval in order to use this plugin. 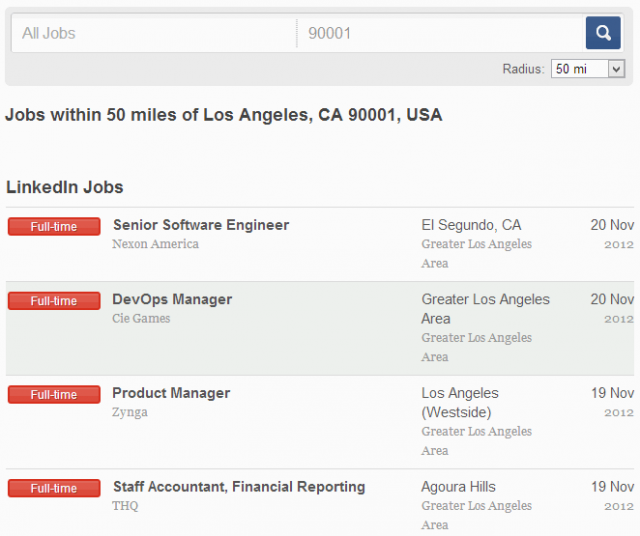 A highly customizable aggregator that publishes job listings on your site using the LinkedIn Job Search API. Requires the JobRoller theme from AppThemes and API Key from LinkedIn. The LinkedIn-Publisher plugin was developed with both non-experienced users and advanced users in mind. 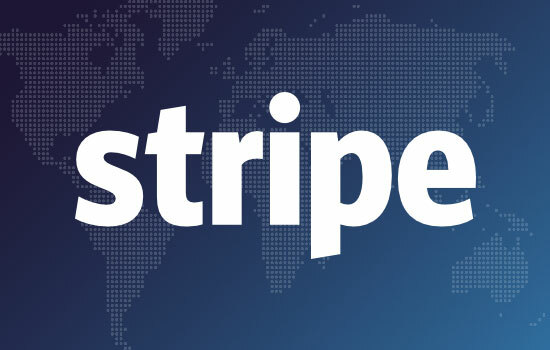 This means, that you only need to register your site as a LinkedIn application to get an API Key, and choose a country to instantly get jobs from the popular Business Social Network based on the current user LinkedIn profile and connections. Alternatively, instead of letting LinkedIn decide the best results, you can simply select a job industry to get the most relevant jobs for your site. Advanced users can tweak job results by adding keywords, countries and/or postcodes and even highlight jobs from major companies (i.e: Google, Facebook, Apple, etc…). 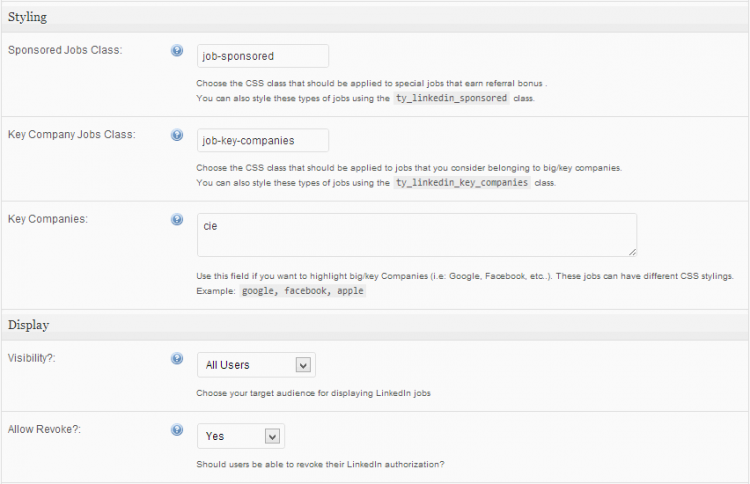 Additionally, site owners have the option to display LinkedIn jobs only to registered users. 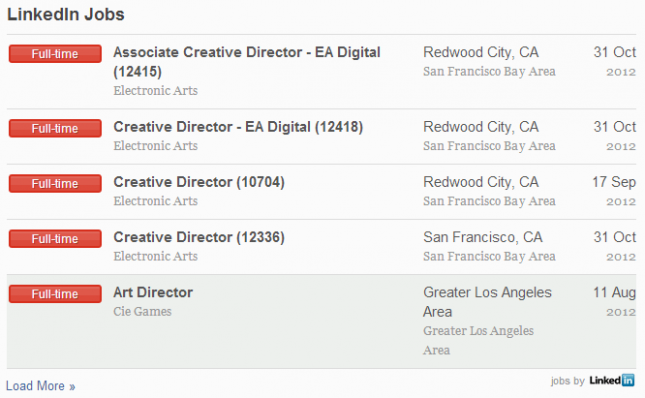 Some job listings even earn you a referral bonus and can be styled for greater visibility. Start making your site popular and converting visitors into registered users by displaying jobs from one of the most respected social platforms out there! What theme does this plugin work with? 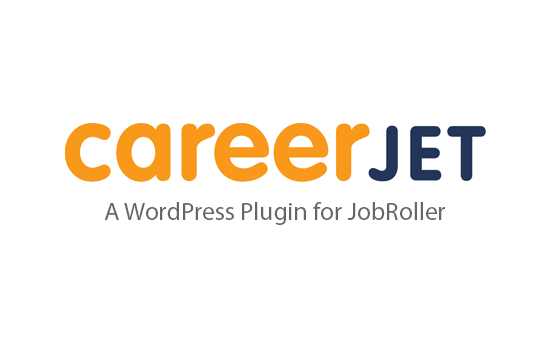 Currently it only supports JobRoller (our WordPress job board theme). How do I setup the LinkedIn-Publisher application on LinkedIn? Register your application with LinkedIn on the developer portal to receive an API key. Create a new application (i.e: Example-Site ) and specify any required fields. You will also need to register the domain/website you intend to run this code on, in the site URL field. For example, if your site is, ‘www.example.com’, you would enter ‘http://www.example.com’ on the URL field. If you’re on a localhost you can add ‘http://localhost/example’. Once you’ve completed those steps and submitted your new application, you will receive an API Key and Secret key. Paste them on the respective fields, on the LinkedIn-Publisher plugin settings page. Request LinkedIn’s Vetted API access here. Reply can take up to 15 days. Your site’s visitors should now be able to sign-in on your site to view LinkedIn jobs. Can I localize LinkedIn-Publisher to my language? Yes. The LinkedIn-Publisher uses it’s own text domain for localization. The localization file (linkedin-publisher.po) is located inside the plugin /languages/ folder. You need to rename this file so that it includes your country locale. The locale is the language code and/or country code you defined in the constant WPLANG in the file wp-config.php. Do users need to sign in every time they visit the site to be able to see LinkedIn jobs? No. LinkedIn caches an access token, valid for 60 days. User will only need to sign in again once this token expires. If you have additional questions please read our LinkedIn Publisher tutorial. You must be running PHP 5+. Not compatible with the PECL extension. If you’re using this extension please uninstall it to be able to use the provided ‘oauth’, authentication library. Your phpinfo.php file needs to be a plain text file. This means you need to make it in a text editing program capable of producing plain text files. Make sure your file extension is .php and not .php.txt. On a Mac, you can use TextEdit. You must first open the TextEdit “Preferences” menu and, in the “New Document” section, select “Plain text.” Then, you should start a new document in TextEdit for your phpinfo.php file. Upload the phpinfo.php file to the server. You should upload the file to your WordPress folder (the same folder where your wp-config.php file is located). Visit the page in your browser by typing your site URL and the phpinfo.php, http://www.example.com/phpinfo.php, replacing example.com with your own domain name. You should now see all your PHP information, including your cURL information. It works fine and it does the job. Can the Linkedin Jobs be displayed without the “Linkedin Jobs” header? @akdacquel, the header is there by default and there are no specific settings within the JobRoller admin dashboard to remove it, so it would require customization on your part if you were looking to remove/change the text. Thanks. Can we show LinkedIn jobs without user logged in? @shmall, by default, users are required to log into LinkedIn before they can view those listings. Thanks. Does this LinkedIn publisher works good next to the Indeed Jobs? 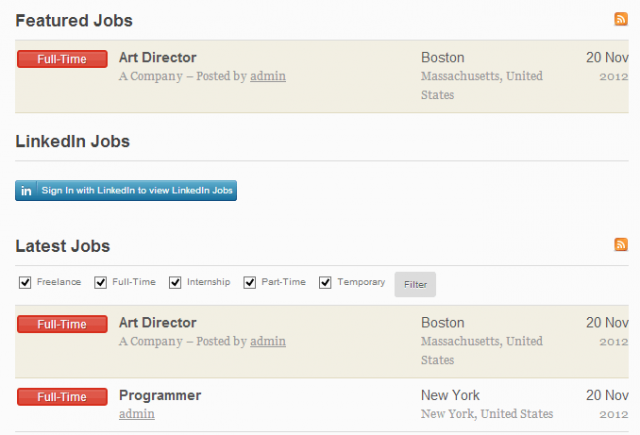 If yes, which will first of the integrated job listings the indeed jobs or Linked In jobs? 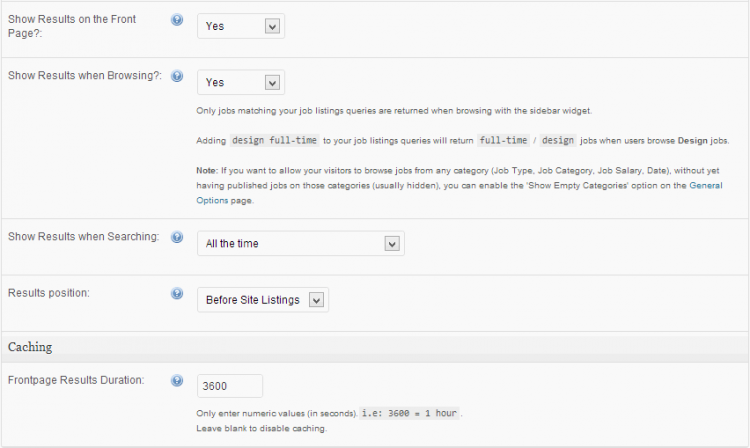 @beergarian, Yes you can use Indeed along with other job aggregator plugins at the same time. You can select the results position from within the JobRoller admin dashboard settings. Thanks. Hi, Can you explain how I can use this plugin to monetize my web site? Is there a referral program that Linkedin offers? @Miguel, you can read a little more about this and how it’s set up on this tutorial. Thanks. we just bought this plugin, installed and is not grabbing any item, indeed is working correctly but this item not, please advise asap on this. thanks. @orlando y, please note that we provide all support in the forums, specifically for this plugin here, so please do post a thread and our team can assist further. Thanks. We’ve successfully uploaded the plugin to our site – but how do we get it on the page? How do i receive the Token from linkedin? Due to changes with our terms and conditions we no longer allow API access for job board sites. I do apologize for any inconvenience this may cause. Being that the site you are trying to retrieve API access for hosts various jobs, we are unable to approve your request at this time.